MPAA Rating: PG-13 for sequences of action and violence, disturbing images, some language, thematic elements and brief sensuality. Running time: 121 minutes. 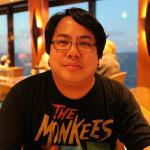 Released by Columbia Pictures. 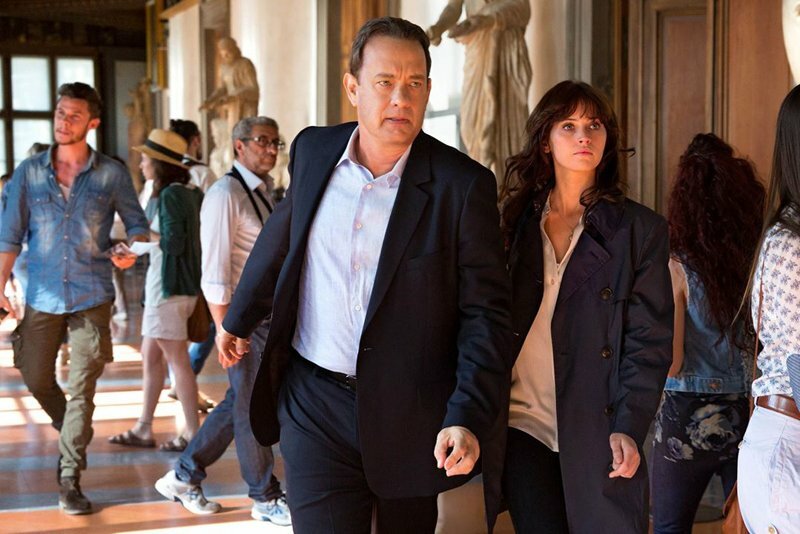 Ron Howard’s new adaptation of Inferno, the fourth of author Dan Brown’s Robert Langdon mystery novels, has had me dizzy since I saw it. Not since Oliver Stone’s Natural Born Killers have I been subjected to so much rapid-fire editing, jarring blasts of noise on the film’s soundtrack, and the dreaded nauseating shakycam for that extra! added! realism! to put us on the level with those participating in the scene. However, in the case of Natural Born Killers, the editorial and sound choices were meant to further that film’s satire and social commentary on American tabloid life, and it was unlike anything we’d ever seen before. 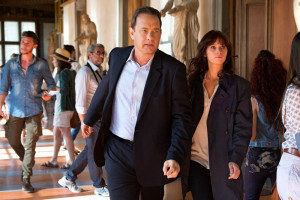 With Inferno, Howard uses these techniques to thoroughly disorient the audience for the first half of the film, hoping to make us feel the way our hero Robert Langdon (Tom Hanks) does when he wakes up in a hospital with a high pulse, a head wound, and no memory of the last 48 hours. Inferno is a different beast from the two films – The Da Vinci Code and Angels & Demons – which came before it, lacking any of the elegance with which they were executed. Gone are the long, graceful tracking shots and the drawn-out storytelling; we’re whittled down to 121 minutes of lean, visceral adventure spurred on by dramatic urgency, all unfolding as Langdon slowly gets his memories back. In some ways, Inferno is better than its oft-bloated predecessors, with the story’s sole focus and rigid time limits driving the film to its thrilling climax, yet its thundering pace and artificial energy can’t make up for a lack of narrative flow. We’re jostled along as Langdon – along with Sienna Brooks (Felicity Jones), a doctor caught up after aiding his escape after an assassin (Ana Ularu) takes shots at him in his hospital bed – combats both his lack of memory and the emergency at hand: a supervirus, engineered to wipe out half the Earth’s population, is about to be released by geneticist and Doomsday cultist Bertrand Zobrist (Ben Foster). We see Zobrist, played rather gently and delicately by Foster, as a rational man who’s gone beyond just theorizing about the food stocks being depleted by rapid overpopulation and into the realm of actually doing something about it. As he puts it, imagine the choice: flipping a switch and killing half the people on Earth to save humanity from itself, or not flipping the switch and just waiting 100 years for overpopulation to take its toll, leaving the Earth unsustainable for human life. Foster doesn’t play Zobrist as some crazy, wild-eyed lunatic; it’s hard not to see things his way in the film’s opening credits as he gives a speech to his company, voicing his concerns about how the Doomsday clock is at 11:59 and inching closer to midnight. It sounds easy enough, with Langdon and Brooks teaming together to stop Foster’s plan. 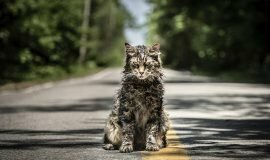 Yet it’s in the combination of Brown’s source material and Howard’s execution where the film winds up muddy and convoluted, with players coming in left and right to either aid or halt Langdon’s progress. 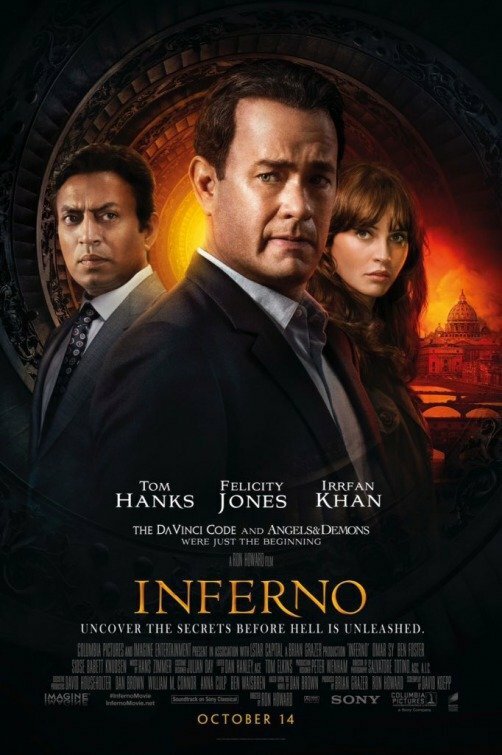 Double-dealing and spurious motives abound; when mixed with Dan Hanley and Tom Elkins’ jarring editing and Salvatore Totino’s discombobulating photography, Inferno makes for one fatiguing time at the movies. 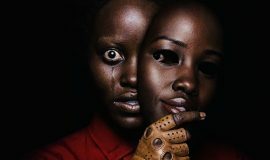 I’m not talking about intellect or smarts or ability to follow the plot; my issue is with the many misdirects and carrot-dangles David Koepp’s script throws at us. There are only so many times we can be told or shown a person is actually working for another side, or a certain character’s seemingly insidious behavior has been for strictly noble purposes. Of course, it’s all made clear by film’s end, but reveals, reversals, and twists keep piling up one on top of the other and heaved at us until they mean nothing. This is what I mean about “superficial energy” – it’s a visual representation of a mountain out of a molehill. 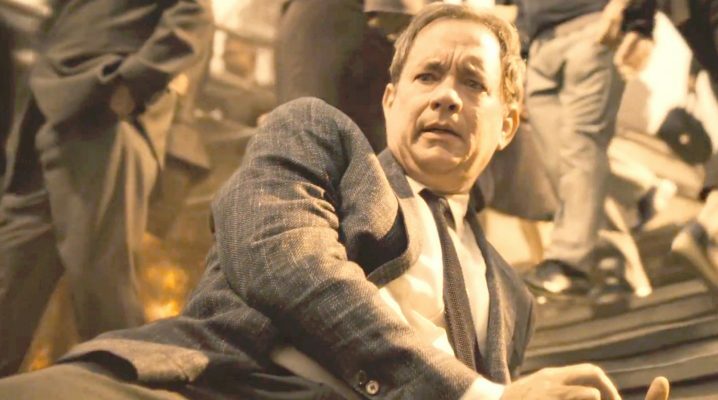 Hanks, as always, can be relied upon to keep the audience with him and to carry the flagging movie to its finish line. Yet this is the dumbed-down version of Langdon at play here, and not just because of his amnesia problem. He doesn’t have many opportunities to use his incredible wealth of knowledge to solve the mysteries or save the day, as he and Brooks are too busy running from the authorities for much of the movie. 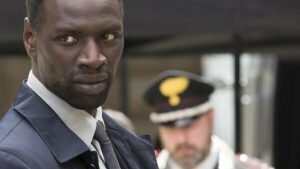 Inferno comes across as Ron Howard’s middling attempt at a Jason Bourne film – a jarringly-edited movie about an amnesiac who has to hop the world around to find the clues which lead him to the truth – but without the bonebreaking martial arts. Save the cab fare and wait for this one on video, where the smaller screen will help ease the eye-strain you’ll get after the first twenty minutes.